I have been volunteering for Susan Kaiser Greenland's Inner Kids Foundation since 2005, and this year I had the privilege of editing her new book, Mindful Games, in addition to helping her present her curriculum for children in a simple, accessible format through the Mindful Games Activity Cards. The dynamic and engaging lessons, games, and songs used in Susan's meditation classes for children are finally available to the broader public! In the Mindful Games book, Susan walks the reader through more than 50 activities she has developed for children, teens, and families. 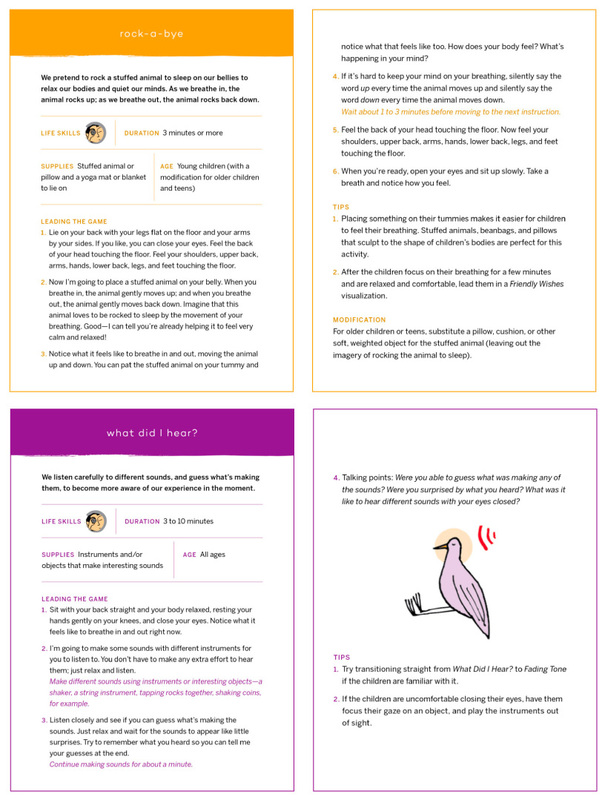 And the companion Mindful Games Activity Cards offer clear, step-by-step instructions for each activity, making them easy to use at home, in the classroom, or on the go. 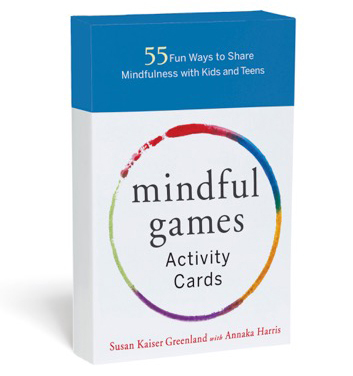 Mindful Games Activity Cards consists of 55 5X7 cards, each devoted to a game or activity. On one side of the card is a simple description of the game, followed by clear, step-by-step instructions. The opposite side of the card lists the supplies needed, the suggested age level, and tips for leading the activity. Each card also lists the "life skills" emphasized in the activity (see below). The cards come in a beautifully designed box that fits nicely on a bookshelf or can be taken along with you! Susan Kaiser Greenland developed the Inner Kids mindful awareness program and teaches secular mindful awareness practices to children, parents, and professionals around the world. She is also a corporate attorney and represented ABC and CBS radio and television stations for many years. While working as a lawyer, she volunteered in schools and at the Boys and Girls Clubs, teaching mindfulness to children. Eventually, she left the practice of law to teach mindfulness to kids and families full-time. In 2000, she established the Inner Kids Foundation with her husband, the author Seth Greenland, bringing mindful awareness to underserved schools and neighborhoods in Los Angeles. She is the author of The Mindful Child (Free Press 2010). Annaka Harris is the author of CONSCIOUS: A Brief Guide to the Fundamental Mystery of the Mind (HarperCollins 2019). She is also the author of the children's book I Wonder (Four Elephants Press 2013) and a consultant for science writers, and her work has appeared in The New York Times. She is an Inner Kids volunteer teacher and has been working with Susan Kaiser Greenland and Inner Kids since 2005. 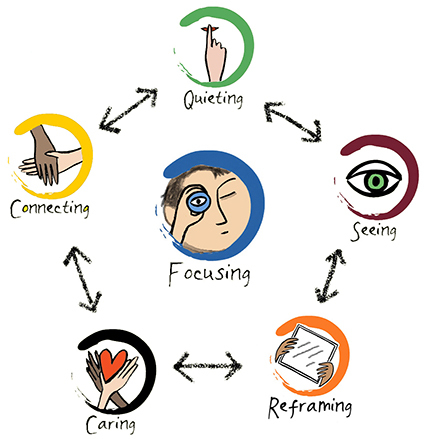 “The practical benefits of mindfulness are wide-ranging and undeniable. This book is certain to enrich the lives of any reader."